New Mac app shines as a standalone or plug-in to major competitors Photoshop and Lightroom. Luminar 1.1.0, Macphun’s brand new flagship photo app, is the company’s answer to Photoshop and Lightroom for photographers. It’s a universal, non-destructive general photo editor that sits atop an impressive assortment of specialized Mac-only image apps and plug-ins like Creative Kit 2016, Aurora HDR 2017, and others. 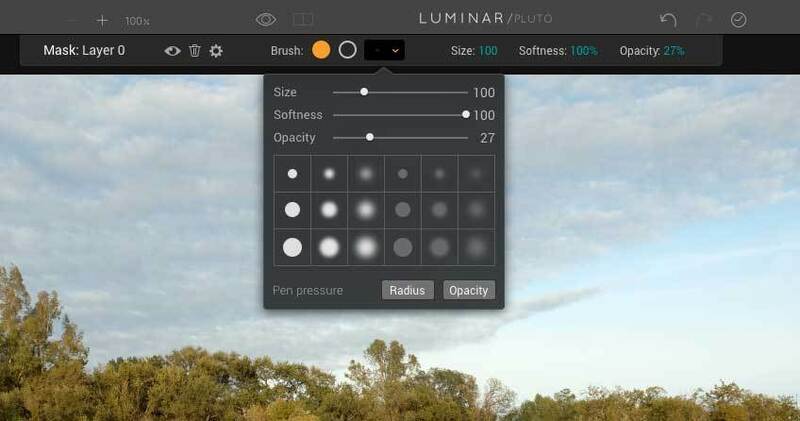 Multiple user-friendly controls make Luminar easy to learn. 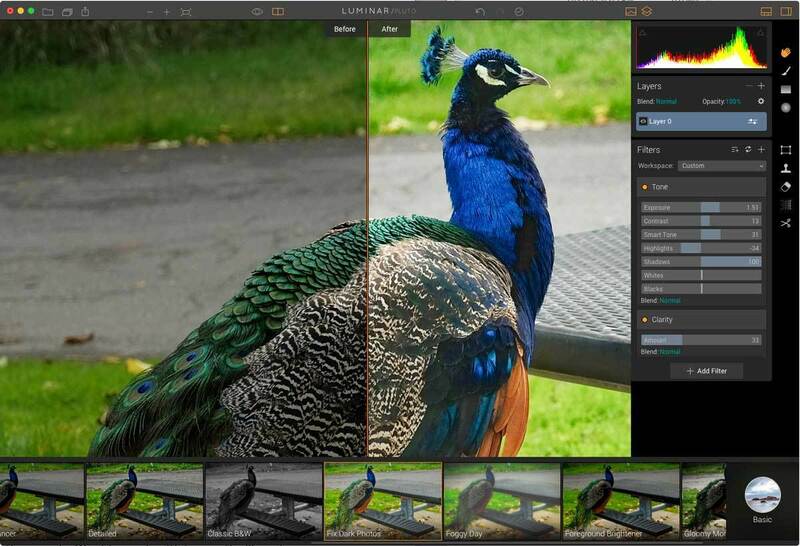 With Luminar, Macphun now aims to conquer the complexity of general image editing for amateur and pro users who capture photos with a variety of devices from DSLRs and mirrorless cameras to high-end smartphones. Whereas photographers who rely on Photoshop quickly encounter its famously steep learning curve, Luminar provides the tools for similar editing results with a much easier, Apple Photos-style effort. Its concentration on photo editing and styling, combined with a massive number of slider-based tools, is designed for all skill levels, giving users plenty of headroom, flexibility, and variety. It’s a pro app in consumer disguise. The app’s interface is flexible, intuitive, and simple. Want to see only the editing controls? Click to hide the preset panel. Want to work with layers, the Transform tool, or brush in edits using a mask? Click to hide the side panel. One click hides or shows the histogram, a before/after view, masks, zoom, history, and undo-redo. 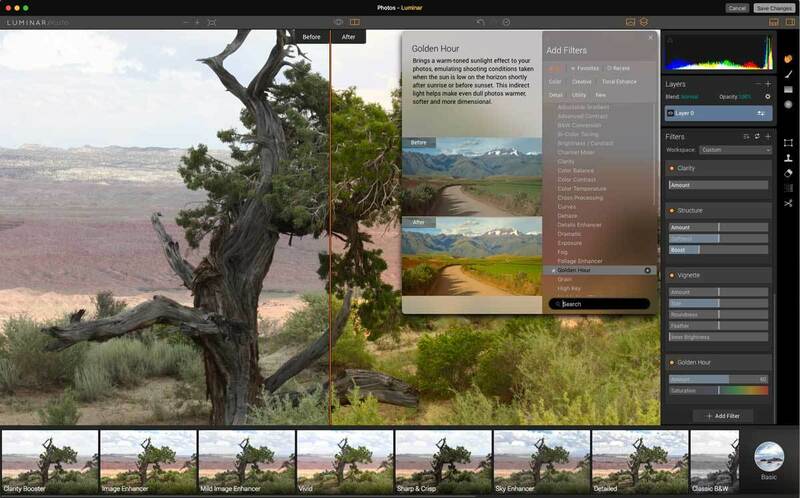 The app provides advanced editing with layers, blending modes, compositing features, and raw white balance correction features, and offers Touch Bar support. 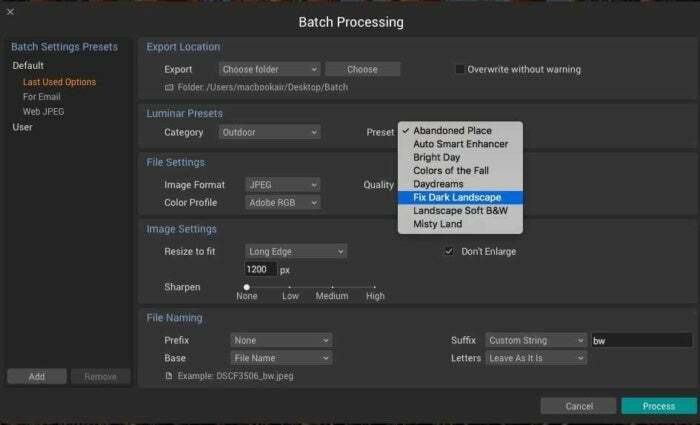 You can correct white balance on raw files. 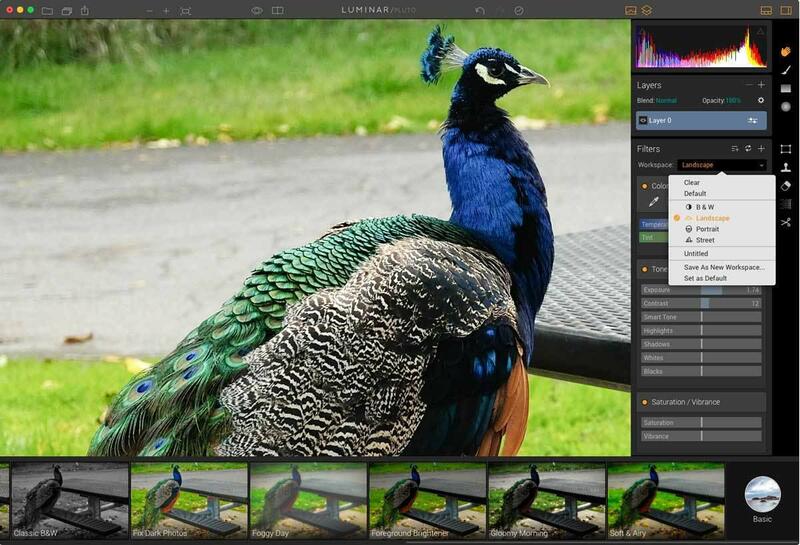 Luminar’s Workspace is a flexible feature that offers customized photo editing tools for broad photo categories like Universal, Black & White, Landscape, Portrait, and Street, with a set of discrete controls for each. You can create your own customized Workspace from scratch with tools you use most frequently, or just tweak one of the app’s pre-defined Workspaces and rename it. Default Workspaces let you choose controls according to the type of image you’re editing. This is my favorite way to work because I almost always want to enhance clarity, structure, dehaze outdoor shots, and remove color cast, and I want all my favorite tools available immediately rather than picking through the software’s default idea of what I want to do with a landscape or a portrait. As you add filters to your Workspace, the software gives a brief description of the effect it will have on your photos. The beauty of the Workspace is that it lets you assemble all your favorite tools in one place, but you can still use each one at your discretion, or not at all. Save customized Workspaces as a starting point for your edits. Presets are a hallmark of Macphun’s editing apps, and Luminar follows in that tradition. Brand new users (and even experienced photographers) can immediately leverage Luminar’s more than 50 quick presets in categories like Basic, Street, Dramatic, Portrait, Outdoor, and Travel, complete with instant full-window previews. And if that’s not enough, three additional preset packs designed by professional photographers are immediately available as a free download from within the app after purchase. Mostly, I find category-based presets limiting, but the app lets you override the categories to access all the presets at once so you can quickly click through previews regardless of category. You can also create your own customized presets. You can augment Luminar’s built-in editing presets with photographer-generated independent ones available for download, or create your own. Luminar is flexible: You can launch it as a standalone app, or as a plug-in to Photoshop, Lightroom, Aperture, or as an Apple Photos extension. The interface in all cases is exactly the same, as the app launches in its own window. Luminar can be used alone or in conjunction with Macphun’s other editing apps. With the Layers function, you can mask and paint edits or presets on specific parts of the picture, while leaving the rest untouched. Adjust the size and other attributes of Luminar’s brushes for editing precision. 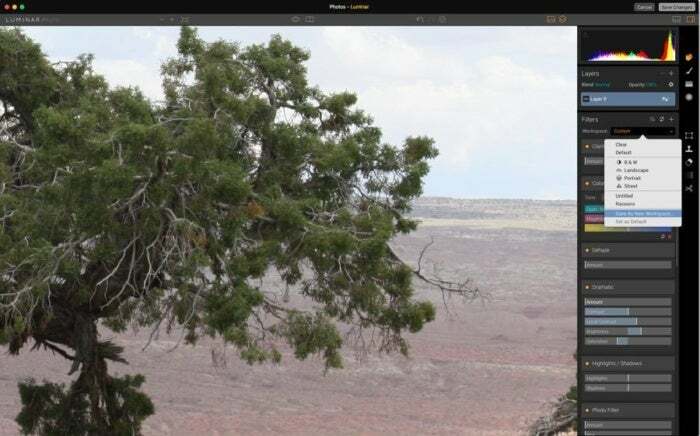 One major new convenience not present in Macphun’s previous apps is a multi-image tabbed interface, like Photoshop’s, which lets you click to choose different images within the main window. However, you can only access the tabs function after launching the app. 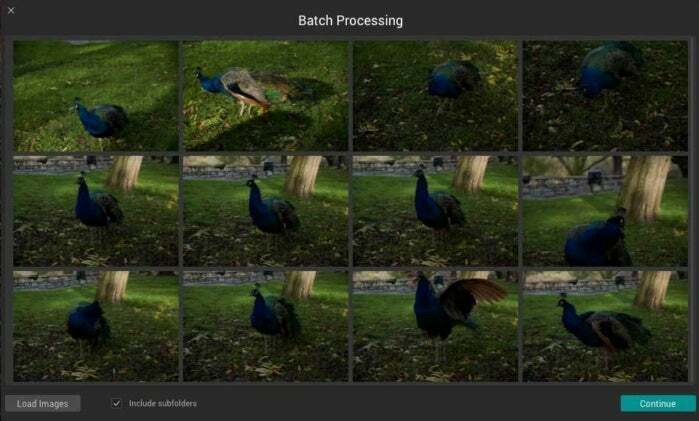 Luminar’s batch processing feature, available from the opening screen or from within the interface, lets you gather multiple photos together for a single editing operation. It accepts all the supported image formats, including raw, and proved fairly speedy: It took about three minutes to process 12 raw photos. My only beef is that the batch window opens smack in the middle of the screen and cannot be resized or relocated. I batch processed12 raw photos in three minutes on my late-2013 MacBook Air. 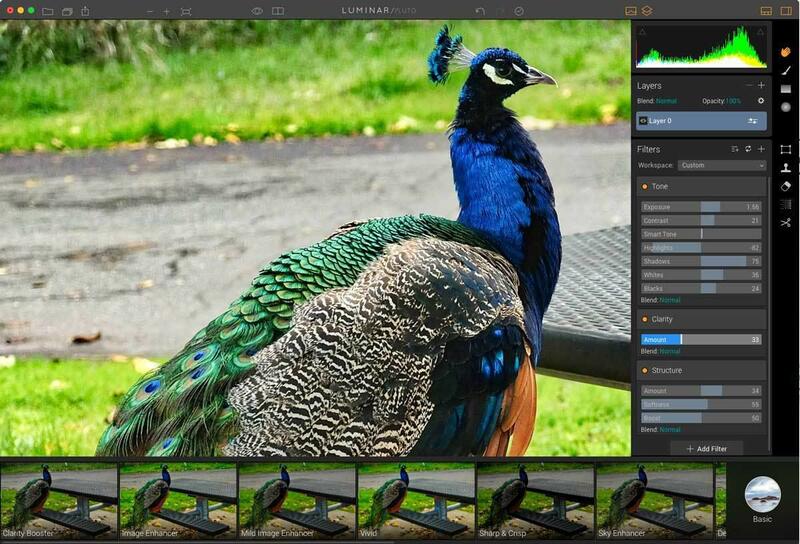 Elegant and polished as it is, Luminar currently lacks an asset management system, so users will have to rely on their existing photo libraries in Lightroom, Adobe Bridge, Apple Photos, or other utilities to organize and survey images. The company says it plans to eventually add that important feature in future versions. The app’s opening screen, an unassuming small window, launches in the middle of the monitor and like the batch processing window, cannot be moved. I appreciate that Macphun is trying to keep it simple, but it’s disconcerting not to be able to relocate the window until after you navigate to and open your image. 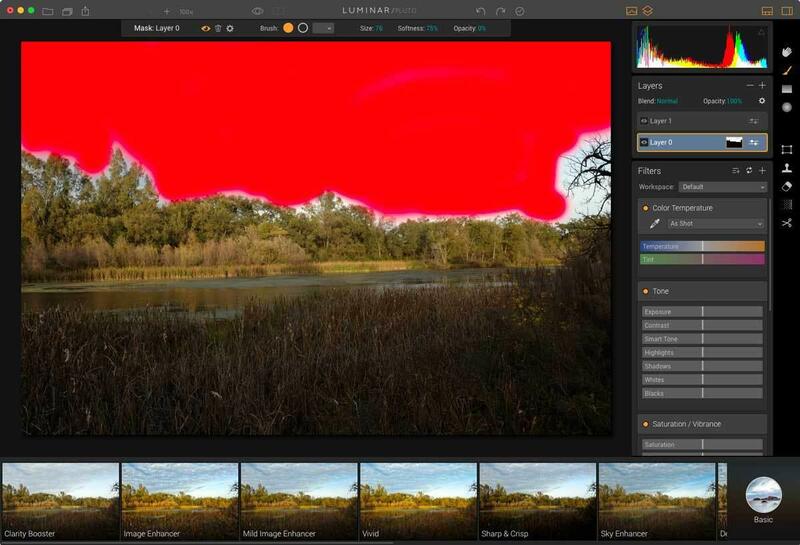 Despite its many pro features, Luminar is not entirely a substitute for Photoshop because it is solely concentrated on photo editing—that's not a bad thing, just a distinction. If you’re looking for CMYK four-color separation, a variety of print output options, or text capabilities, it’s best to hang on to Photoshop with Luminar as a plug-in. Every hour can be the Golden Hour with this special filter: No waiting. This image was edited directly within Apple Photos using Luminar as an extension. Macphun has covered some major photo editing territory with Luminar 1.1.0, its new flagship general photo editor. It’s accomplished that feat while at the same time promoting the app as a plug-in to its major competitors: Lightroom, Photoshop, and Photos. If you’re already familiar with Macphun’s other apps, you’ll catch Luminar’s drift in a jiffy, as its interface sports a similar signature look and feel. 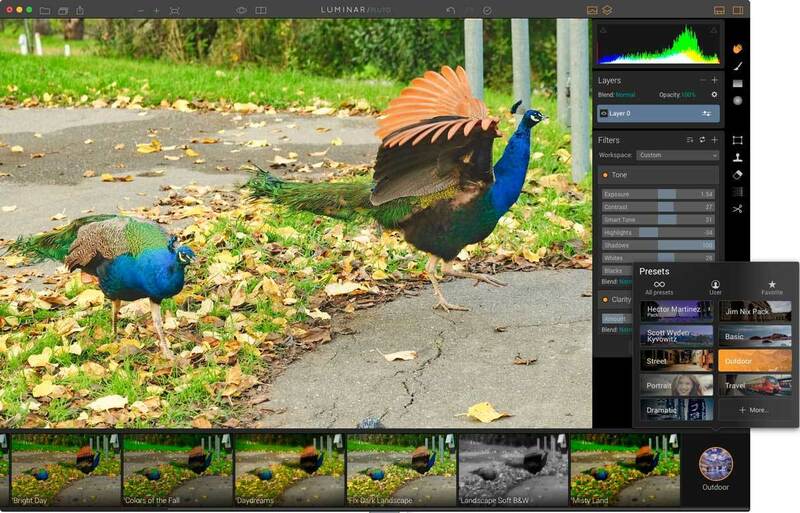 If you’re looking for a serious photo-centric editor with a polished and well-tested interface, deep functionality, and room to grow, Luminar is an outstanding choice.